Yesterday, I had a conversation with a prospective bride for next year. She said she was going to treat her wedding like a theatrical piece… if it were just about her and her man, they’d elope and call it good. She has decided to put on the “play” for their family and friends… to do it up right for them. To be fair, she teaches theatre to high schoolers so it’s how her mind works but, honestly, it’s a great way to look at a wedding. You write the script, design the set and hire some help for behind the scenes. The two of you also get to choose the players AND an appreciative audience… how cool is that?! A thank you to Mr. Shakespeare for a marvelous quote, as always. 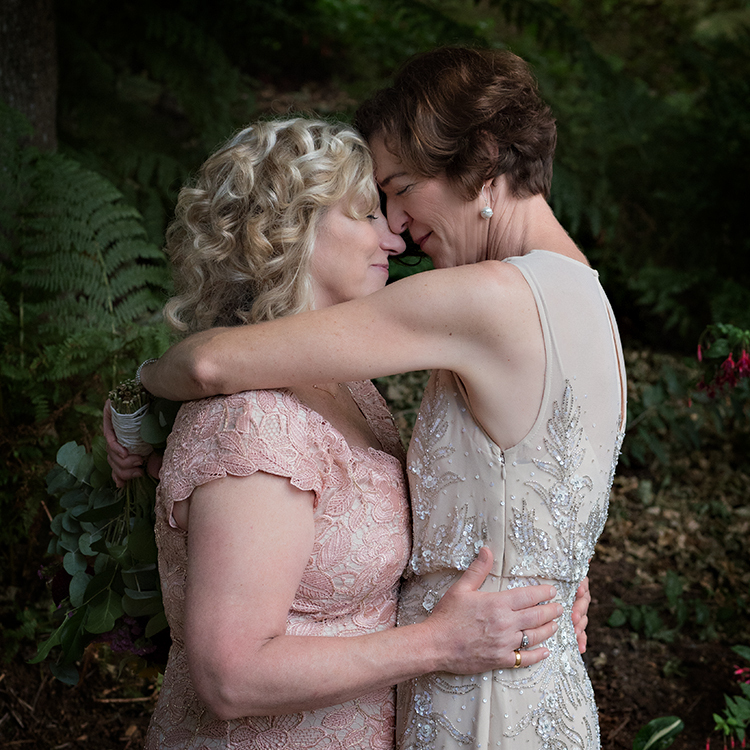 This entry was posted in Wedding Posts, Weekly Favorites and tagged family and friends, Portland Wedding Photographer, shakespeare, Stage, Theatre, weddings, wit on October 6, 2015 by admin. Remember when wedding photos were kind of stodgy? Attitudes have changed over the years in the best way! Posing a wedding party used to be about symmetry and well dressed people on their best behaviour… the men all on one side with their hands folded in front and the women all turned just so with their matching bouquets lined up. I have worked a little against this for many years, trying to fit it to each client’s need for their real friends vs the staged lineup. The prevailing attitudes have brought a wonderful sense of fun to the whole process. These days, I’ll do one or two staged set ups for the older generations but if I can get the wedding party or the family groups to play in front of my camera, I feel like I have done my job very well. Many years down the road, you should be able to look back at these pictures of your family and friends and recognize them as the fabulous people in your tribe… not just a well dressed group you happen to know. I’m hoping there will be a day soon when the brides and grooms follow their own hearts instead of blindly checking off a list in a magazine… make the day your own and have a blast! 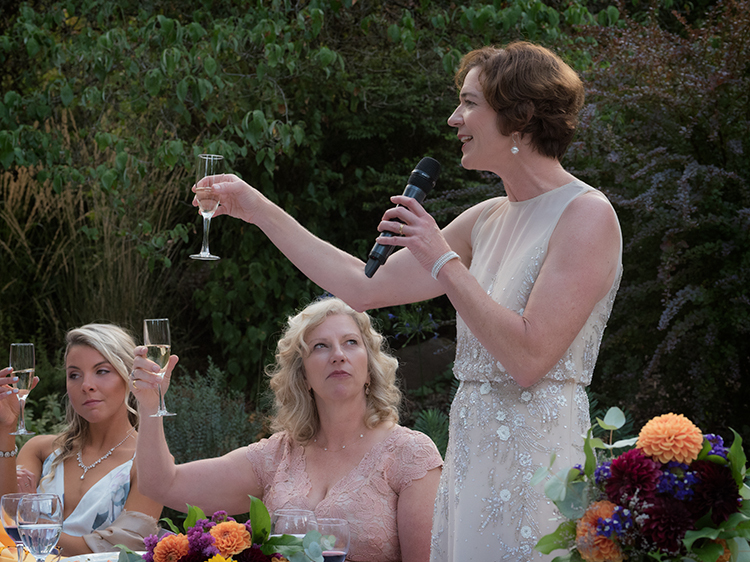 This entry was posted in Wedding Posts, Weekly Favorites and tagged family and friends, follow your hearts, generations, Portland Wedding Photographer, Wedding party, wedding photos on December 2, 2014 by admin. Last Friday found me at Sellwood’s tiny, historic Oak’s Pioneer Church listening to one of the more personal wedding ceremonies I have heard in a long while. Lisa and Tom both spoke from the alter before the vows… they told the crowd how they met and they talked about their first couple of dates. We heard how he included her sons into their early relationship and how she did the same with his grown children. The best part, though, and the reason for this post, was when Lisa turned to the crowd and said “We could have had a big wedding… we could have invited family and friends and acquaintances but we wanted, more than anything, to share this day with you… our families and our closest friends.” It was evident to me through the rest of the evening that they were, indeed, surrounded by people who really loved them. 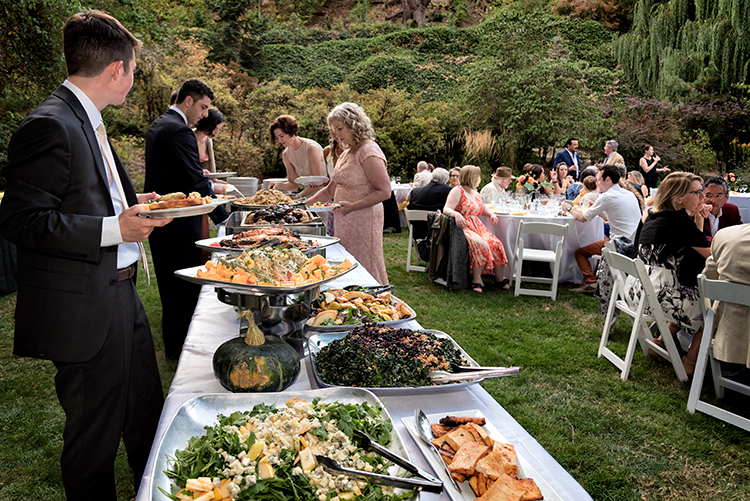 The party was held at a beautiful home on N Ainsworth Street… crammed to the rafters with good food and happy people. The couple dancing in the living room are the lady of the house and her son… tell me that does’t look like a good time! This entry was posted in Wedding Posts, Weekly Favorites and tagged dancing in the living room, family and friends, Oak's Pioneer Church, Sellwood wedding on December 3, 2013 by admin.